Well, the problem is easy to understand. Snapchat uses security tokens for authentication.Security tokens are used to prove one's identity electronically, in place of a password, to prove that the customer is who they claim to be, so they don't have to exchange the original password that may be captured by attackers. A token is created any time you make a request to snapchat to update your contact list, add someone, send a snap etc. That's called a request token, and it's based on your password and on timestamp (and other things). The original idea of using request tokens is to force users to create one, and then discard it for next time. So, if you're an authenticated user, you'll be able to create another time and then make another request. The problem is that tokens doesn't expire. I've been using for the attack one token create almost one month ago. So, I'm able to use a custom script I've created to send snaps to a list of users from several computers at the same time. That could let an attacker send spam to the 4.6 million leaked account list in less then one hour. 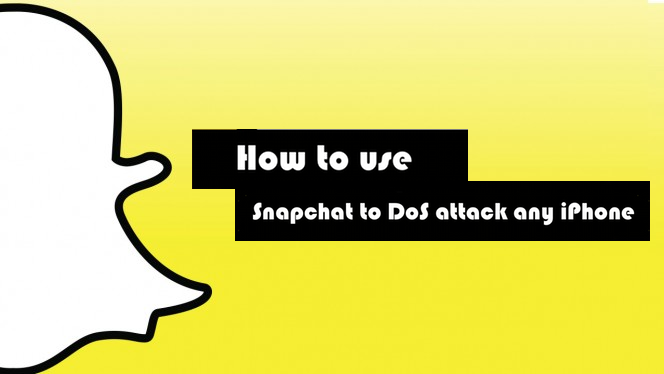 The other problem is that any attacker could just send all the snaps to one user only, as a Denial of Service attack. As you've seen on the video, on iPhone, it will crash you phone and when it powers up, it still hangs until the attack is over. Launching a denial-of-service attack on Android devices doesn’t cause those smartphones to crash, but it does slow their speed. It also makes it impossible to use the app until the attack has finished. HOW EXACTLY DOES THE DOS OVERLOAD CRASH THE PHONE ? All push notifications systems work by having the mobile operating system (iOS in this case) issue an address which app publishers use to specify the delivery of the notification to the device. Apple Push Notification service transports and routes a notification from a given provider to a given device. 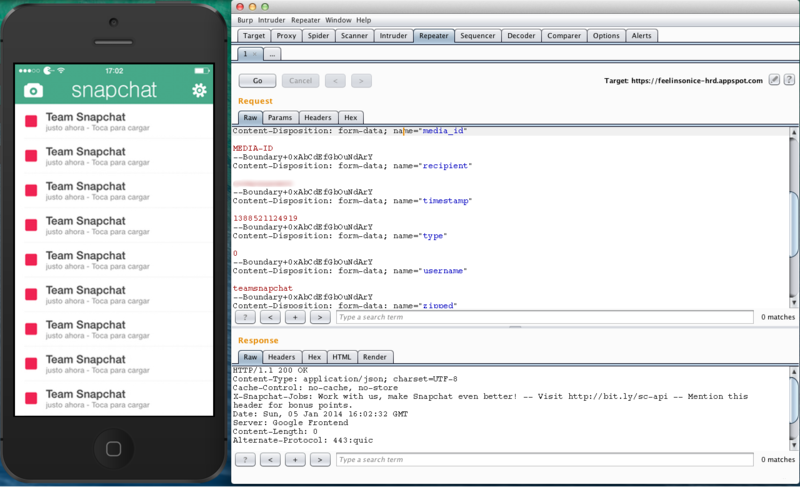 A notification is a short message consisting of two major pieces of data: the device token and the payload. The device token is analogous to a phone number, and provides the required authentication for Apple to deliver a push message to the intended app. 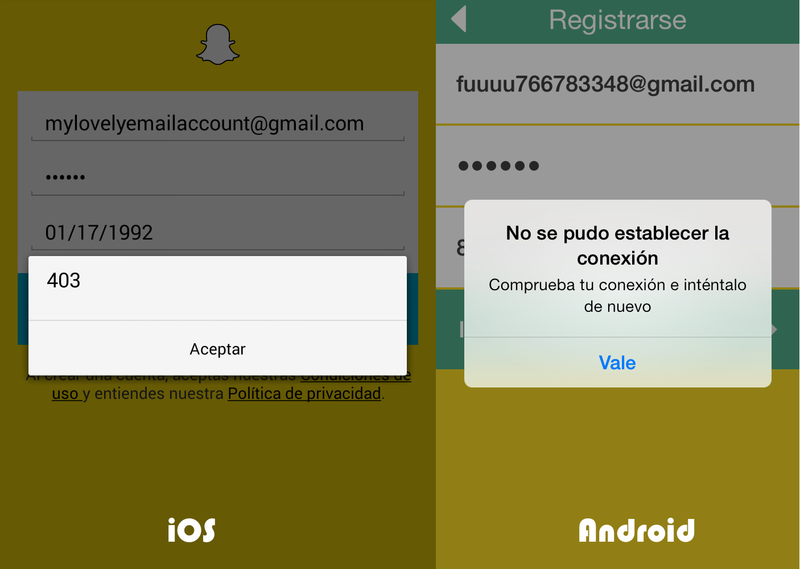 DID SNAPCHAT SOLVED THIS SECURITY ISSUE ? They haven't, you still can use the same token for several request, so the attack is still working. They told press they would contact the researcher to get more info to solve the problem. I didn't get any email.